Name: FUNDACION MALLORCA TURISME 2. Nif: g57594558 3. Address: PLAÇA DEL HOSPITAL Nº 4 2nd PLANT C.P . : 07012 4. Email address: bbibiloni1@conselldemallorca.net 5. Telephone: 9712196486. 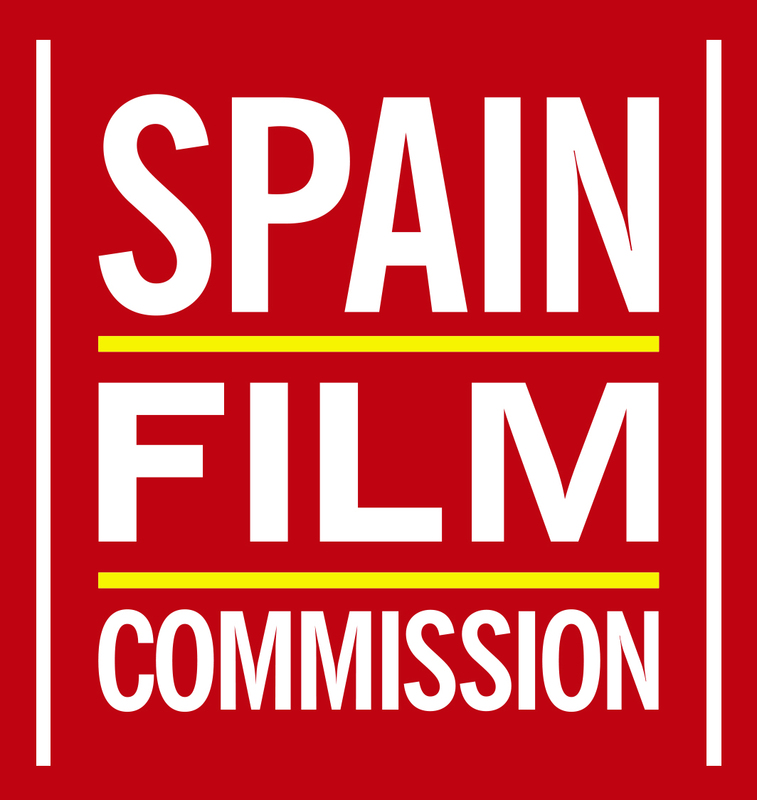 The user undertakes from acceptance to make use of the WWW.MALLORCAFILMCOMMISSION.NET website, the contents and their services in accordance with law, good customs and public order. Using the diligence appropriate to the nature of the service you enjoy through the WWW.MALLORCAFILMCOMMISSION.NET website. 1.1.According to the provisions of Organic Law 15/1999 of 13 December on the Protection of Personal Data, FUNDACION MALLORCA TURISME informs the User of the existence of a file called WEB USERS of personal data created with the Data obtained on the Web by and for FUNDACION MALLORCA TURISME, and under its responsibility, for the purposes of information and provision of the services offered on the website. This file is registered in the General Register of the Data Protection Agency. 1.2 The user expressly accepts the inclusion of data collected during navigation on the page, or provided by completing any form, as well as those derived from a possible business relationship, with the automated file of personal data referred to in section First. During the data collection process and in each place of the Web where such data is requested, the user will be informed, either through a hyperlink, or by including the appropriate mentions in the form itself, mandatory Or non-collection of such data. Any user who decides to register on the website of our Entity, we request the necessary data for the purposes for which the Entity is destined, which is not another that is the sale of the services and products of our Entity. 1.3 The user may exercise, with respect to the data collected in the manner set forth in the previous section, the rights recognized in Organic Law 15/1999, and in particular the rights of access, rectification or cancellation of data and opposition, provided that Pertinent, as well as the revocation of the consent for the transfer of their data or for any of the indicated uses. The rights referred to in the preceding paragraph may be exercised by each user through a cancellation request form that will request us by email. The written and signed request may be sent by post to the following address: FUNDACION MALLORCA TURISME, with address at PLAÇA DEL HOSPITAL Nº 4 2nd PLANT C.P . : 07012, PALMA DE MALLORCA, enclosing in both cases a photocopy of the DNI of the user. 1.4 FUNDACION MALLORCA TURISME informs that if a USER wants to register at WWW.MALLORCAFILMCOMMISSION.NET, they will be asked for a whole series of data as mandatory completion as we have already mentioned above, so if these data are not provided / filled in No registration will take place on the website of FUNDACION MALLORCA TURISME. It shall be the duty of all users to ensure that the information provided is accurate and up-to-date. 1.5 FUNDACION MALLORCA TURISME undertakes to use the data included in the file referred to above, to respect its confidentiality and to use them according to the purpose of the file, as well as to fulfill its obligation to keep them and adapt all measures to avoid Alteration, loss, treatment or unauthorized access, in accordance with the provisions of Royal Decree 1720/2007, which approves the regulation that develops the LOPD. 1.6 The personal data that you provide us will be processed automatically and incorporated into the automated files of FUNDACION MALLORCA TURISME, this company being the owner and responsible for its own files, which, according to the current regulations, are duly registered in The General Register of the Data Protection Agency. In the forms of the Registry where personal data are collected, the various fields that need to be filled in to register will be indicated. Thus, unless stated otherwise, the answers to questions about personal data are voluntary, without the lack of answer to such questions implying a reduction in the quality or quantity of the corresponding services, unless otherwise indicated. 1.7 The automated treatment to which all personal data collected as a result of the request, use, contracting of any product or service or any transaction or operation carried out through this website (including, for this purpose, Which are provided by users for the publication of advertisements), its main purpose is to maintain the contractual relationship, if any, established with the owner of this website. – Including receiving newsletters, your data will only be used to manage the sending of this newsletter. – You authorize the sending of advertising regarding our services and products so your data will only be used to manage the sending of advertising through traditional or electronic means. In the case of the e-mail addresses or contact form of the web page, the data that you provide through them, will be used exclusively to attend the queries that we pose by this means. All this in accordance with article 22.1 and 22.2 of law 34/2002, of July 11, on services of the information society and electronic commerce that is modified by virtue of article 4 real decree-law 13/2012, With its new wording. 1.14 The entity guarantees the confidentiality of personal data. Nevertheless, it shall disclose to the competent public authorities personal data and any other information that is in its possession or accessible through its systems and is required in accordance with the legal and regulatory provisions applicable to the case. Personal data may be stored in files owned by FUNDACION MALLORCA TURISME even once the relations formalized through the website of the Entity have been completed, exclusively for the purposes indicated above and, in any case, during the legally established periods , Available to administrative or judicial authorities. The entity: FALLACION MALLORCA TURISME with CIF / NIF: g57594558 Web: WWW.MALLORCAFILMCOMMISSION.NET Address: PLAÇA DEL HOSPITAL Nº 4 2nd PLANT C.P . : 07012, PALMA DE MALLORCA. E-mail address: bbibiloni1@conselldemallorca.net informs you that in accordance with article 22.2 of Law 34/2002, of July 11, on services of the information society and electronic commerce (LSSI) reports in an express way To the user that this web: WWW.MALLORCAFILMCOMMISSION.NET uses own and third party ‘cookies’ to offer you a better experience and service. By browsing or using our services the user expressly accepts the use we make of cookies. However, the user has the option to prevent the generation of cookies and the elimination of cookies. A) They are understood by own cookies: They are those that are sent to the terminal equipment of the user from a computer or domain managed by the own editor and from which the service requested by the user is provided. A cookie is a file that is downloaded to websites, and that certain web pages send to the browser and are stored in the user’s terminal, which can be a personal computer, a mobile phone, a tablet, and so on. These files allow the website to remember information about your visit, such as the language and preferred options, which can allow you to retrieve information about the navigation that is made from your computer, in this way is intended to facilitate your next visit and make it The site is most useful when customizing its content. The user’s login to keep the session active on the web. The latest searches on the web services and personalization data of these services. Information about the ads displayed to the user. Information of the surveys in which the user participated. Connection data to social networks for users who access with their Facebook or Twitter user. 1-This website uses both temporary session cookies and permanent cookies. Session cookies store data only while the user accesses the web and permanent cookies store the data in the terminal to be accessed and used in more than one session. They are usually used to store information that only interests to preserve for the provision of the service requested by the user on a single occasion. 2-Technical Cookies: These are those that allow the user to navigate through a web page, platform or application and the use of different options or services that exist in it, such as controlling traffic and data communication, To identify the session, to access restricted access parts, to remember the elements that integrate an order, to carry out the process of buying an order, to apply for registration or participation in an event, to use security features during navigation, to store content for The broadcast of videos or sound or share content through social networks. 3-Personalization Cookies: These are the ones that allow the user to access the service with some predefined general characteristics based on a series of criteria in the user’s terminal such as the language, the type of browser through which it accesses To the service, the regional configuration from where you access the service, the geolocation of the terminal and the regional configuration from which the service is accessed. 4-Advertising Cookies: These are the ones that allow the management, in the most efficient way possible, of the advertising spaces that, if applicable, the publisher has included in a webpage, application or platform from which it provides the requested service on the basis To criteria such as the content edited or the frequency at which the ads are displayed. 5-Behavioral advertising cookies: These are the ones that allow the management, in the most efficient way possible, of the advertising spaces that, if applicable, the editor has included in a webpage, application or platform since The one that provides the requested service. These cookies store information of the behavior of the users obtained through the continuous observation of their habits of navigation, which allows to develop a specific profile to show advertising in function of the same. Statistical analysis ‘Cookies’: 6-Statistical analysis cookies.-These are the ones that allow the monitoring and analysis of the behavior of users on websites. The information collected through this type of ‘cookies’ is used in the measurement of the activity of the websites, application or platform and for the elaboration of navigation profiles of the users of said sites, in order to introduce improvements in the service Depending on the usage data that users make. B) Third-party cookies: These are those that are sent to the user’s terminal equipment from a computer or domain that is not managed by the publisher, but by another entity that treats the data obtained through cookies. In some web pages you can install third party ‘cookies’ that allow you to manage and improve the services offered. For example, Google Analytics and Comscore statistical services. Cookie itself: PHPSESSID Information: Session Cookie session.Cookie Technique. Strictly necessary .. Purpose: This cookie is used by the PHP encryption language to allow SESSION variables to be saved on the web server. This cookie is essential for the operation of the web. Google Cookie: __ga Information: ‘Cookies’ for statistical analysis. Expires: 2 years from creation or update. Description: (Google). This cookie allows to distinguish the Users who navigate through the website, but without, in any case, allow us to know the identity of the same. GEOG Information: 2 years Description: These cookies are used by Google to store the user’s preferences and information while viewing the pages with the maps. Of Google in them. Google Cookie: NID Information: Expires: 2 years from creation or update Description: These cookies are used by Google to store user preferences and information while viewing pages with Google maps on them. Google Cookie: CONSENT Information: Expires: 2 years from creation or update Description: These cookies are used by Google to store user preferences and information while viewing pages with Google maps on them. Google Cookie: NID Information: ‘Cookies’ from Google. Description: Advertising cookies that allow you to optimize and customize the ads displayed when browsing. This cookie is used by Google to store the user’s preferences and information while viewing the videos of youtube, and it is used by Google to store the user’s preferences and information during the viewing of the videos of youtube and Access to social networks. Youtube Cookie: CONSENT Information: Youtube Cookies Description: These cookies are used by Google and YOUTUBE to store user preferences and information while viewing youtube videos and accessing social networks. Youtube Cookie: _NID Information: Youtube Cookies Description: These cookies are used by Google and YOUTUBE to store user preferences and information while viewing youtube videos and accessing social networks. How to manage cookies on computers. When opening the browser, click on ‘tools’ at the top and select the ‘options’ tab. Under options, click on ‘privacy’. Microsoft Internet Explorer 6.0, 7.0, 8.0, 9.01. When opening the browser, click on ‘tools’ at the top and select the ‘options’ tab. Check the ‘Privacy’ tab making sure it is set to a medium or lower security level. Click on cookies, and check: ‘allow cookies to be installed’. Click on the ‘Security’ tab and check if the ‘Block third party cookies access’ option is checked or not. Go to ‘Explorer’ and select ‘Preferences’ from the navigation bar. Scroll down until you see ‘Cookies’ just below received files. Mark ‘Do not ask again’. Go to Safari and select ‘Preferences’ from the navigation bar. Click on the ‘Security’ tab and check the ‘accept cookies’ option. Select the option: ‘Only from the current site where I am browsing’. Go to ‘Opera’ and select ‘Menu’ and ‘Settings’ in the navigation bar. Select ‘Preferences’ and click on the ‘Advanced’ tab. Check the ‘Accept cookies’ option If you block the use of ‘cookies’ in your browser, some services or functionalities of the website may not be available. In some browsers, specific rules can be configured to manage cookies by website, which provides more precise control over privacy. This means that you can disable cookies from all sites except those you trust.